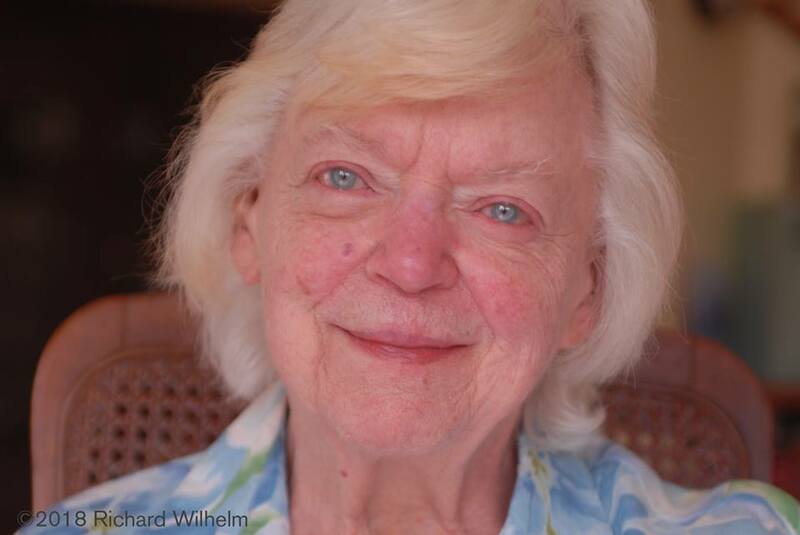 Kate Wilhelm, author of many of science fiction's seminal books and stories (e.g. Where Late the Sweet Birds Sang), would have been a titan in the field if she had only written; but Wilhelm's prodigious authorly accomplishments are matched by her influence on the generations of writers trained in the Clarion Workshops, which she co-founded with Robin Scott Wilson and her husband Damon Knight. Kate was the sole surviving member of that original trio, and this week she died, at the age of 89. Wilhelm was one of my instructors in 1992, and remained a friend and mentor; at her urging I joined the board of the nonprofit Clarion Foundation and have returned to the workshop several times to teach, striving to uphold the standards she set in her many decades of service to the field and its practicioners. Kate was reportedly lucid until the end, and died in the midst of her loved ones. She is already sorely missed. If you want to learn more about Kate, try this 2012 Starshipsofa podcast where she appeared alongside Ray Bradbury; and read her memoir, Storyteller, which tells the history of the Clarion Workshop as well. * The role of family in Kate Wilhelm's work is an essay in itself (if not an entire book)—her portraits and studies of siblings, married couples, and children are assured and perceptive. One critic told me he saw Constance Leidl and Charlie Meiklejohn as stand-ins for Kate and Damon, but I find the resemblances superficial. It's definitely true, however, that family plays a big role in Kate's life as well as in her fiction—in fact, she collaborated with her son Richard on one book, and note whose work graces the cover of this issue (F&SF, March 2001). * Another state secret: the last part of a story Kate usually writes is the title. People in the sales department at St. Martin's didn't like the title Death Qualified and threatened to rename the book "The Butterfly Effect." (These included some of the same people who felt that "The Silence of the Lambs" was a weak title.) Kate's working title for the novella in this issue was "What Color Were Leif Ericson's Underpants?" * In high school, Kate took an employment aptitude test that told her she was meant to be an architect. Before you laugh, think of how prominent a role buildings play in novels such as Smart House, The Good Children, and Cambio Bay. If you ever get the feeling that you could find your way around one of the houses in Kate's books, that might be because she draws maps of the major locales for her books while she's working on them. * At one point, I found myself hard-pressed to identify what literary traditions fostered her fiction—for someone who is so very widely read, Kate Wilhelm's work strikes me as being very independent. Then I sat on a panel at an sf convention in Ohio in which we discussed what (if anything) characterizes Ohioan fiction. Maureen McHugh and the others (including Ron Sarti and Juanita Coulson) very eloquently summed up the characteristics of what Maureen dubbed "heartland" fiction—modest, independent, suburban fiction that's far more interested in average folks than in supermen. I cited Leigh Brackett and The Long Tomorrow as a prime example...and I find that Kate Wilhelm's work fits in this tradition. Somewhat. Hers is not fiction that can be pigeonholed easily.